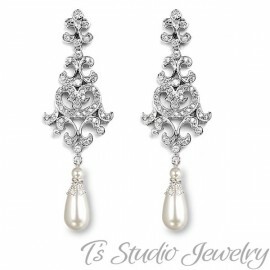 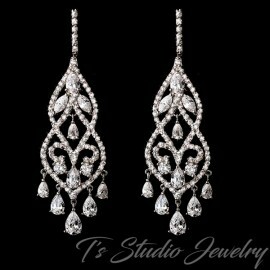 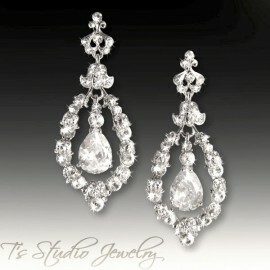 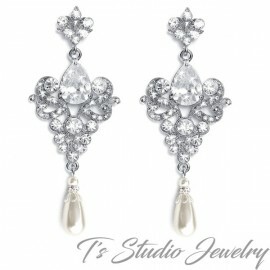 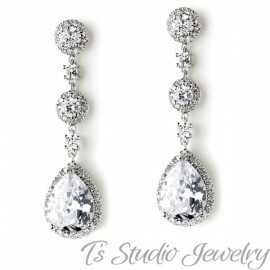 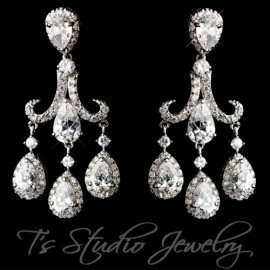 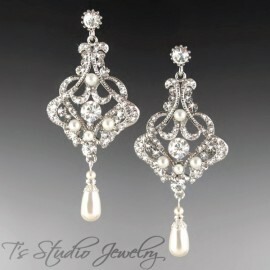 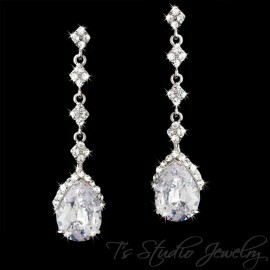 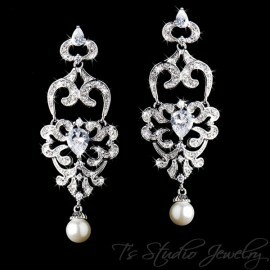 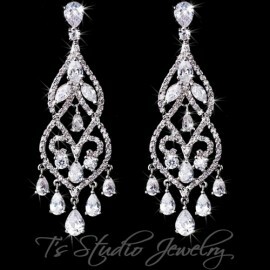 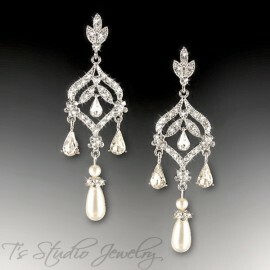 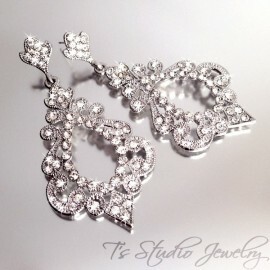 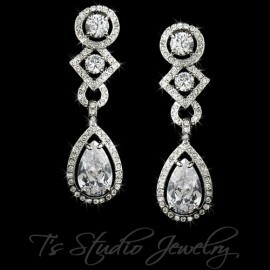 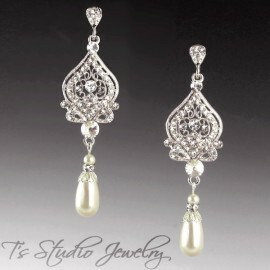 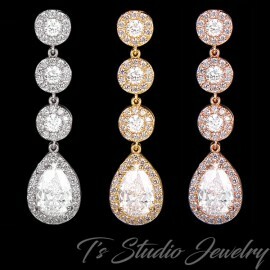 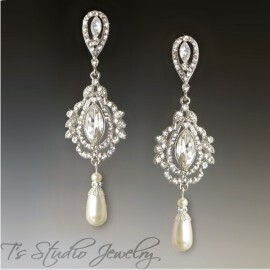 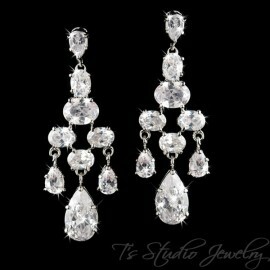 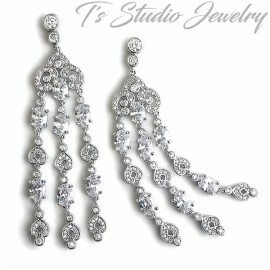 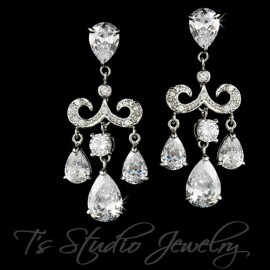 Old Hollywood Style Glamorous Bridal Chandelier Earrings, perfect for a vintage theme wedding. 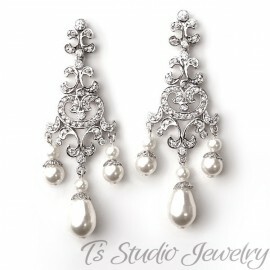 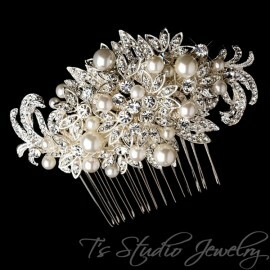 and accented with several small pearls, which are available in several colors. 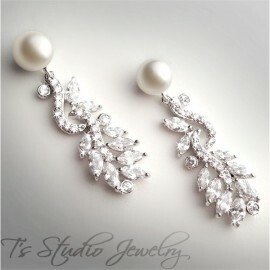 If you would like a pearl color other than ivory or white, please contact us. 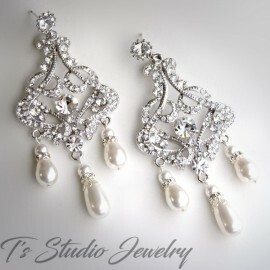 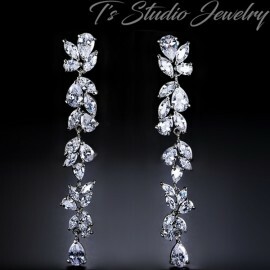 These earrings were perfect for my wedding, and looked great with my dress. 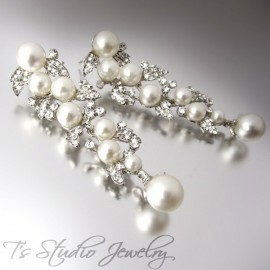 I also purchased the matching bracelet, which I love!